Say hello to the completely new look Fynn Valley! Our brand-new Café Terrace, with a stunning bar and additional event rooms, is now open; and we can’t wait for you to visit! Located just outside of Ipswich in the Suffolk countryside, the new Café Terrace is open 7 days a week from 8am to 4pm, with the bar open in to the evening. It features panoramic windows looking out over the expansive south facing terrace, so from inside and out, whether winter or summer, you can enjoy the views over the lawns and beyond to the beautiful golf course. The Café Terrace at Fynn Valley serves delicious breakfast and lunch dishes all freshly prepared by our in-house chefs. There is also a lighter menu and a great selection of homemade cakes and pastries for those who simply want to meet up for coffee and cake. Our breakfast menu features the classic Full English, done our way, with various other options such as Eggs Benedict, Smashed Avocado with Poached Eggs and French Toast. Our lunch dishes are prepared fresh and change seasonally, so you can enjoy something new each time you visit. With dishes such as Ballantine of Free-Range Chicken and our Fynn Valley Beef Burger you’ll never be short of options! We also offer vegetarian and gluten free dishes. The stylish new bar offers wonderful views to accompany a truly tempting selection of quality gins, wine and fizz so you can relax in style! And with the warming log burner at the heart of the café it is all too easy to get toasty over your favourite tipple. The Café Terrace at Fynn Valley has been uniquely designed to create the perfect atmosphere for a private party, or a relaxing surrounding for an important business event. It has two rooms, so it can cater in style for a wide range events. For larger events, the Oak room has the capacity to host 120 people seated for lunch or dinner and is perfect for weddings, as well as Christmas events, private parties and charity events. 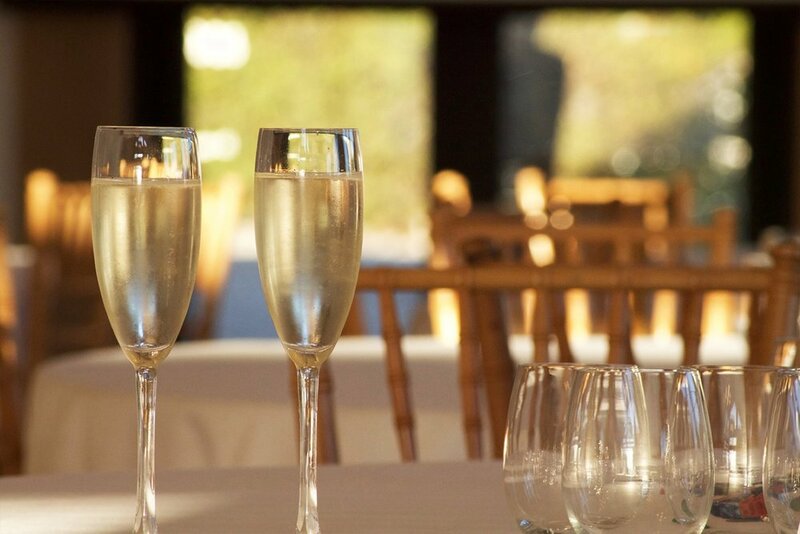 For smaller parties the Acorn room will comfortably accommodate up to 34 people seated, making it ideal for more intimate celebrations and events. Why not be one of the first to enjoy the unique surroundings and stylish setting of the Café Terrace for your next special occasion? We’re open now so please come along and take a look at the brand-new Café Terrace. We hope to see you soon! Sign up with your email address to receive the latest news & offers.